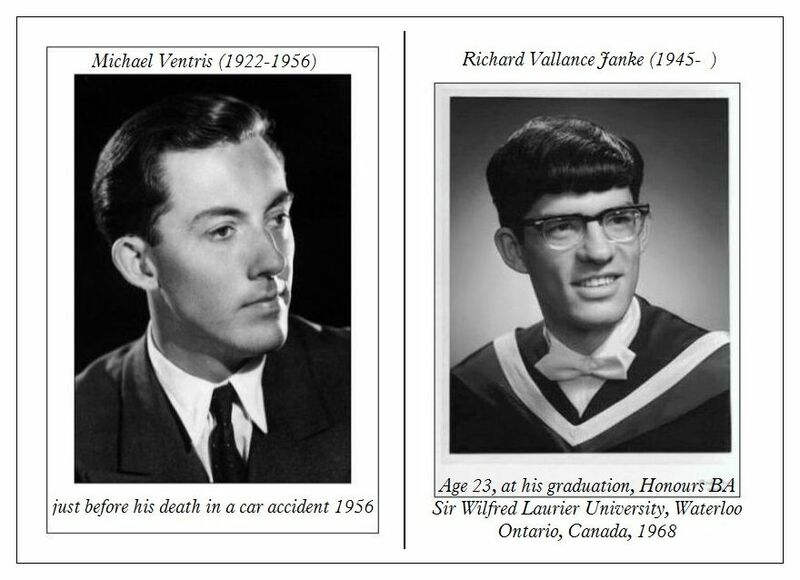 Here is a composite of 2 photos, one of Michael Ventris (1922-1956) just before his tragic death in a car accident in 1956, and one of myself, Richard Vallance Janke, still younger, at age 23, upon my graduation for my first degree, Honours Bachelor of Arts in Latin and French (majors), English and German (minors) from Sir Wilfred Laurier University, Waterloo, Ontario, Canada, 1968. I have no hesitation whatsoever in declaring that I consider Michael to be my patron saint, and that I pray to him instead of to God, because he is the greatest inspiration in my entire life. I shall do so until God informs me otherwise. 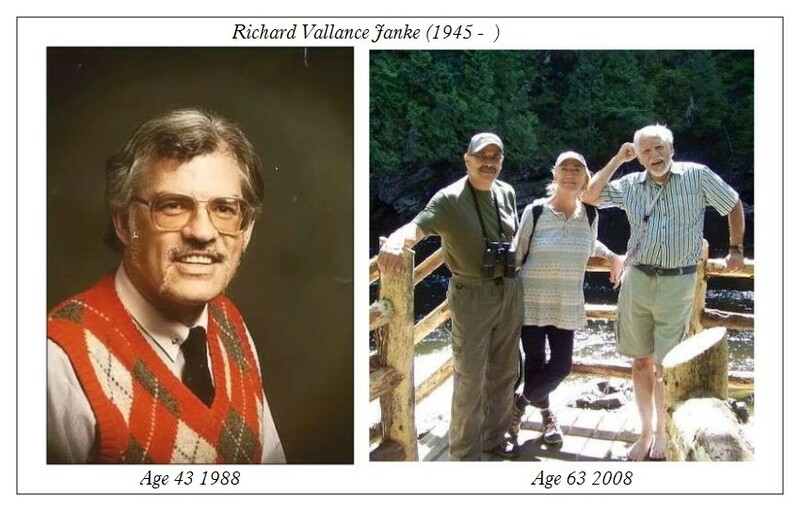 And here is another composite of myself, first as a Reference Librarian, University of Ottawa, Ottawa, Ontario, Canada, taken at the age of 43 in 1988, and the second of a lovely couple and  myself at the age of 63, taken while I was on holidays in Quebec in the summer of 2008. I will be using these photos for my talk on The Rôle of Supersyllabograms in Linear B at the Pultusk Academy of the Humanities, University of Warsaw, Poland, June 29 – July 2, 2015. Simply WOW !! And good luck at the conference Richard. « Standard Keyboard Layout for Arcado-Cypriot Linear C. This is the only place you can find it!